Good news for charitable IRA owners over age 70 ½… the Tax Relief, Unemployment Insurance Reauthorization, and Job Creation Act of 2010, signed last week by President Obama, extends the ability to give up to $100,000 directly from your IRA to a charitable institution, tax-free. Furthermore, because this bill was passed so late in the year, you get an extra month to complete the transfer and have it count for your 2010 taxes (transfers made in January 2011 will count as if they were made in 2010). 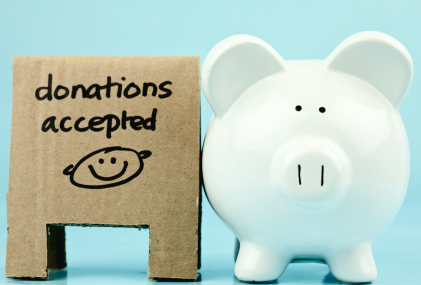 If you’re not familiar with charitable IRA donations, for the past few years taxpayers age 70 ½ or older have been able to make direct transfers of up to $100,000 per year from their IRA to a charity. By giving the money directly to charity (rather than receiving the distribution then later cutting a check to your favorite charity), taxpayers were able to exclude the IRA distribution from their income. This was a great strategy for IRA owners who didn’t need the money from the required minimum distribution as they won’t have to pay a large tax bill for IRA withdrawals that they wouldn’t otherwise have taken (if not required to by the RMD rules). The direct transfer strategy not only reduced their taxable income, but it also reduced their adjusted gross income, which resulted in many taxpayers having less of their Social Security income taxed; it also allowed taxpayers to qualify for credits and deductions that they would not have qualified for otherwise because their income was too high. 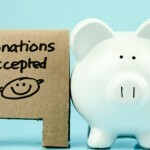 This IRA donation strategy was introduced in the Pension Protection Act of 2006 and was originally only intended to apply to the 2007 tax year. It was later extended to include 2008 and 2009. IRA owners who have taken advantage of this strategy were hoping that it would be extended for 2010, but for a while it didn’t look like it would happen. Thankfully, Congress included a provision in the tax bill passed last week to extend the ability to donate IRAs directly to charity for not only 2010, but 2011 as well. Since this bill was passed so late in the year, you may have already taken your 2010 RMD and written a check to your favorite charity. You can still deduct your donation on Schedule A: Itemized Deductions (if you itemize your deductions). However, please note that you can’t do both. If you do a direct transfer to a charity from your IRA you will exclude the distribution from your income; if you write a check to a charity you will deduct it on Schedule A. Thanks to Kay Bell at Bankrate.com for the update on RMD charitable donations in “How the New Tax Law Affects Your 2010 Taxes”. Now that it has passed, why am I (and others) in a Catch-22 situation wherein we get penalized for complying with existing law; and tax advice that said it would take about 2-weeks to safely get out my RMD before years end without penalty. Since the law was passed so late, I believe that I should be allowed to write a check to my church for the exact amount of my RMD and have it considered as a direct donation; OR that I be allowed to return the funds to my financial institution and have them send the check to my church. Stephen – Thank you for the comment. And I understand your frustration, this law was passed way too late in the year and many will miss out on the direct donation as a result. I spoke to a colleague of mine at Schwab yesterday to find out if shareholders were being allowed to return their RMD (assuming they already took it in 2010) so that they could then turn around and do a direct transfer to a charity. Unfortunately the answer was no; I’m not sure if this is Schwab’s policy only, or if all brokerage firms are following suit, or if the IRS would even allow it (still digging to find that answer). The only consolation is that Congress extended this rule for both 2010 and 2011, so if you miss out on 2010, you can still take advantage of it for 2011.